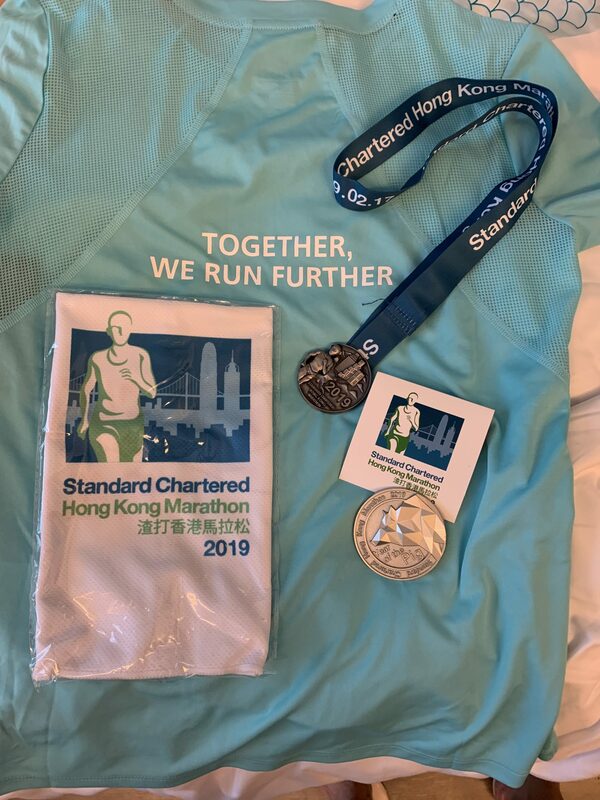 2019-02-17 marked the 23rd edition of the Standard Chartered Hong Kong Marathon (“SCMHK”), also known as Hong Kong Marathon. 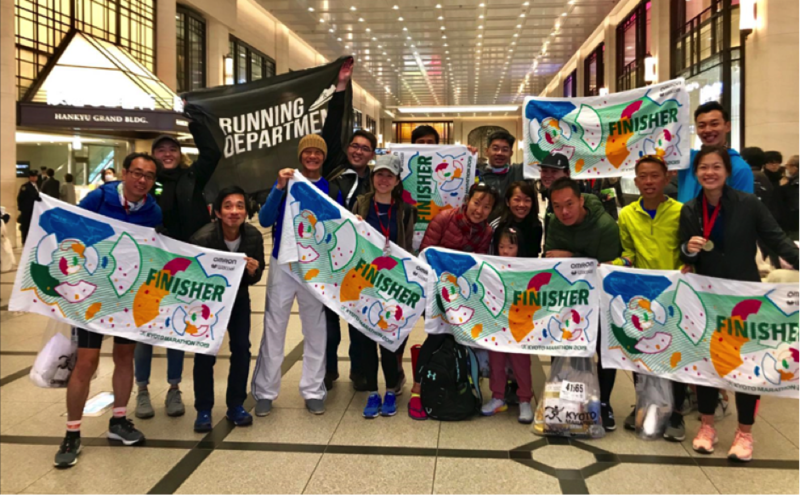 The SCMHK is one of the popular annual sporting event in Hong Kong and is recognised by the International Association of Athletics Federation as a Gold Label Road Race. As for myself, it was my third SCMHK this year. 2015 being the first one. Why the SCMHK, some may ask? 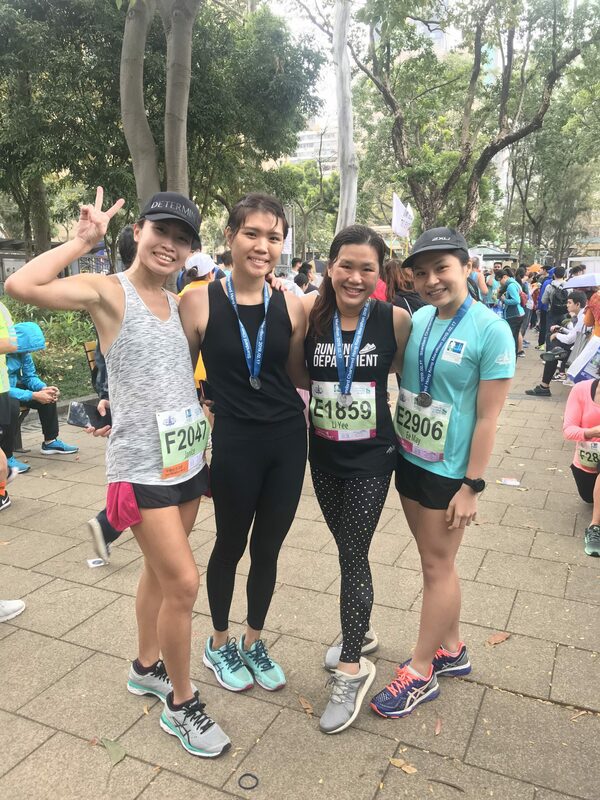 One of the reason why I signed up for SCMHK in 2015 was the commemorative medal (in the design of animal from the Chinese Zodiac) that was given to all participants, regardless of the race category. 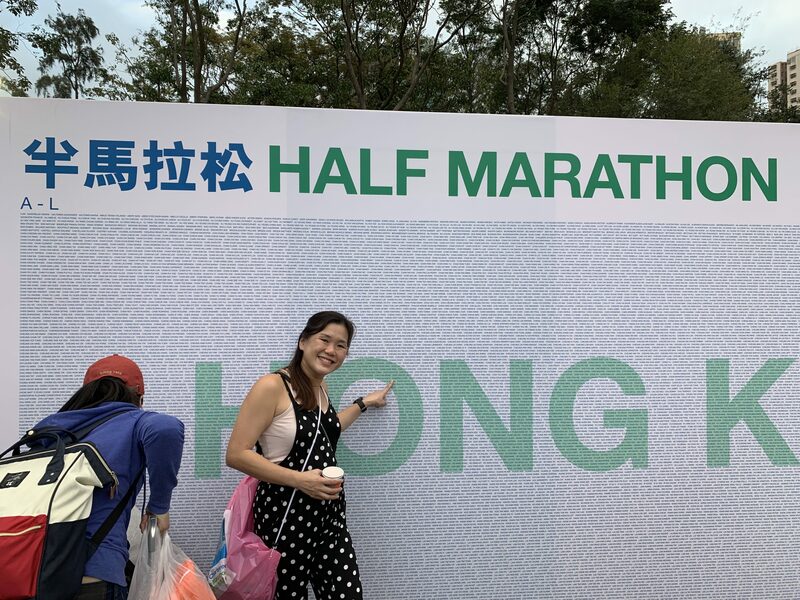 As 2015 was the year of the goat, my favourite animal of the Chinese Zodiac and the loads of yummy food present in the Dim Sum land couldn’t keep me away from signing up for my first SCMHK, half marathon category. 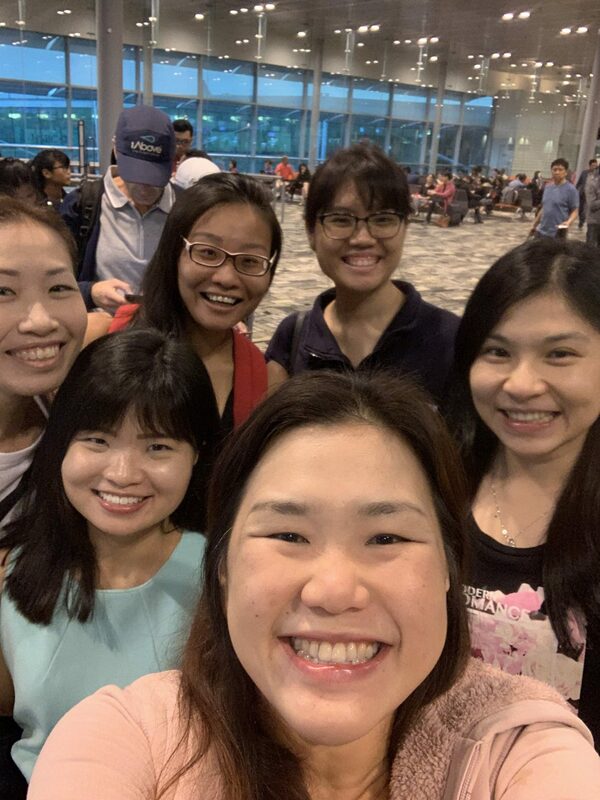 15 February 2019, I headed to Hong Kong with some of the girls from Running Department (most of them had signed up for the HM category too). Zipped through the race pack collection despite reaching there close to 5PM, after feeding our hungry stomachs. Even though the race bib and event tee collection was at two separate locations, we were all done within 30 minutes. Loved the atmosphere at the Race Expo, the event organiser had set up a mini-carnival with various sponsors booths for their merchandise. The official hydration sponsor also allowed the participants to try out the isotonic hydration offered during the event. It was great to try the hydration and ensure it suits my palate and the system. 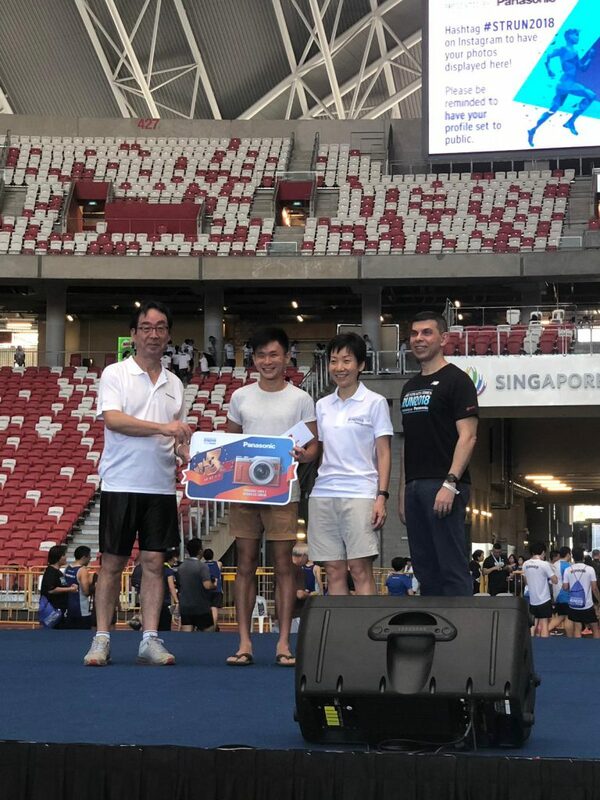 The organiser had also set up the “board of glory” for participants of 10Km/half marathon/full marathon category, so that all participants (regardless of their race category) can get a photo next to their name. Spent the day stuffing myself crazy with yummy Hong Kong food with my friend who also flew to Hong Kong for the race. Did not want to kill my legs since I would need them to be strong and functional for race day. So I avoided too much walking around. Had a simple carb-filled meal with the other RD ladies and headed back to the hotel for a sleep. Woke up with a stomachache of sort, which was probably induced by the influx of the food from the day before (too much milk tea & polo baos!). Journey-ed 4 stops via the MTR to the start point and tummy created a havoc again when I just entered the race pen, and thus decided to head out to the porta loo (time check: 10 minutes to flag off) despite the long snaking queue. Since I had decided to abandon my plan to chase after a personal best at this race, which was a tall order since my body had accustomed to the 7:49 min/km pace that my legs have been used to for the past one year, I decided to just take this as another LSD and enjoy the race. Running a race without the pressure of slashing time off a personal best was actually quite liberating. The weather was thankfully not as humid as per the weather forecast. 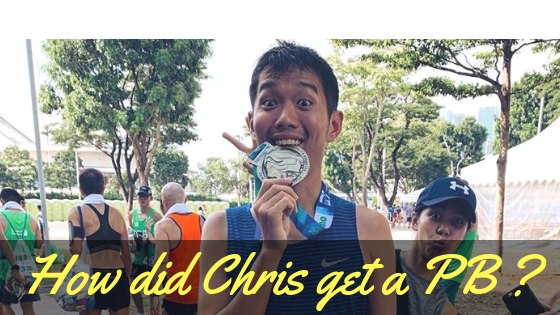 Since this was not my first time doing the HM route, coupled with the mount faber loops from RD training, I was mentally & physically prepared for the long gradual slopes along the route. Saw quite a number of visually impaired people racing the half marathon with their running guide in tow and they were actually going strong! What could be better for SCMHK? More fresh air in the tunnels perhaps. Remember that it was much cooler when I ran through the tunnel in 2016 but then again, I was in the earlier flag off group and hence the air must have been fresh. One of the aspects of the SCMHK that I wish that races in Singapore could emulate is the availability of water stations that specially cater for runners who have BYO cups/ bottles for refill . Oh other wishlist items would be bite size bananas and wrapper- free kit-kats! On hindsight, if I had stuck to my initial training plan, I would probably be able to shave a couple of minutes off the last SCMHK timing of 2:10 even if I didn’t attain a sub-2 as the slightly chilly weather was perfect to run a little faster. Nonetheless, I gave myself a pat on the back for completing the race at an easy average pace of 6:47min/ km (without monitoring my pace during the run). That’s 1 minute faster than the 7:49min/km that I had been training! Yay! Race done , time for breakfast! Well, perhaps next year, I will be back for the zodiac medal.To complete the collection of the full set of zodiac, I will need to come back again for another 9 times!